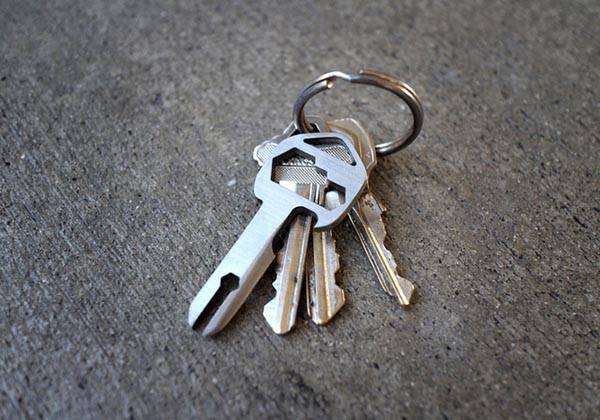 MyKee is not a regular key designed to open your door, but using integrated multiple tools, the titanium multi-tool key helps you deal with some daily emergencies. Cool? Let’s keep going. The MyKee is a practical and multi purposed multi-tool that measures only 0.93 x 2.2 x 0.1 inches and weights 0.185 oz. As we can see from the images, the multi tool shows off an ultra compact design and its key-shaped appearance allows you to effortlessly attach it onto your keychain for easy access. As a multi-tool key, MyKee delivers us 18 functional tools in order to help you handle everyday tasks with ease. The integrated tools include bottle opener, claw, semi-sharp blade, and metric hex wrench set. 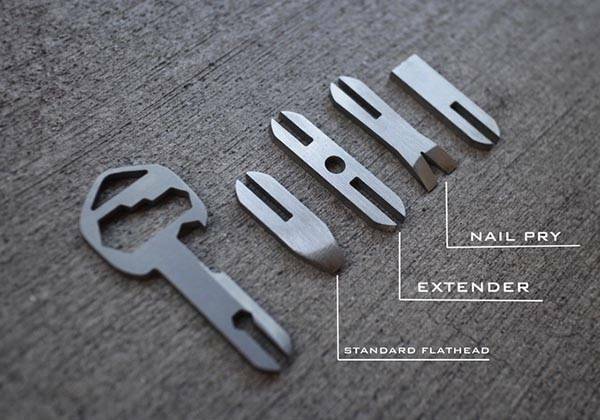 Moreover, the multi-tool key also features multiple functional KeeBit addons so that you can easily add more functions on the key including nail pry, extender, and standard flathead. Apart from that, MyKee is made of grade 5 titanium for durable construction and outstanding corrosion resistance. MyKee has been available for preorder via Kickstarter. 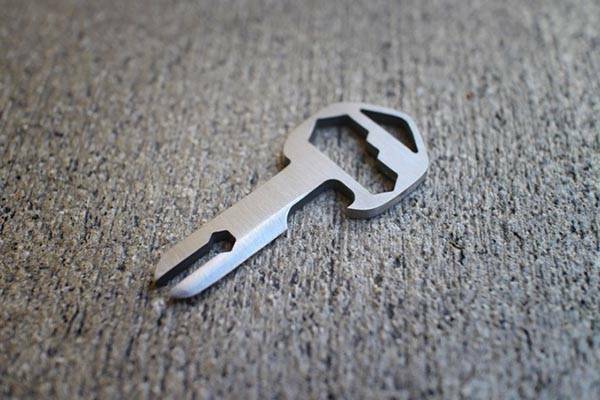 You can pledge $25 to preorder the titanium multi-tool key. Need more options? You may like to check FIXR 20-in-1 multi-tool and more cool stuff by following tags. Update, the multitool has been available on Amazon for $20.24 USD.